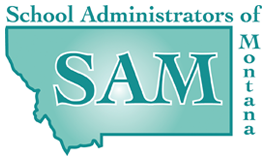 School Administrators of Montana and its six affiliates recognize its members and the community through a variety of awards on both the local, regional and national level. Nomination information and schedules are posted on each affiliate's website and distributed to the membership throughout the year. We are proud of the accomplishments of our members and supporters! Please take a few moments to read the information on the award and this year's winners!